Veterinary software fulfills the needs of veterinarians and veterinary professionals beyond practice management optimization. Veterinary software functionality runs the gamut, providing surgical or dentistry tools or integrations to animal clinics and hospitals, maintaining a drug database for veterinary-focused pharmacies to consult, simplifying and ensuring industry compliance, and providing tools that nurture client engagement. Veterinary software creates efficiency and productivity within any aspect of animal-focused care delivery so veterinary professionals can focus on their work. Veterinary solutions are standalone solutions or are built to integrate with or supplement veterinary practice management software. 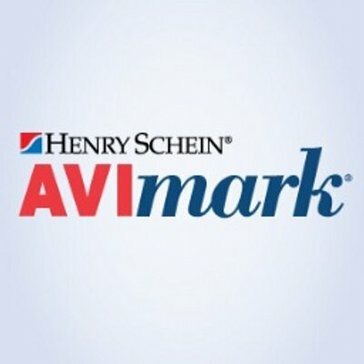 Veterinary reviews by real, verified users. Find unbiased ratings on user satisfaction, features, and price based on the most reviews available anywhere. ezyVet is a cutting edge front-runner in the cloud-based veterinary software market. Managing clients, animals, financials, stock, reminders, lab integrations and much, much more. 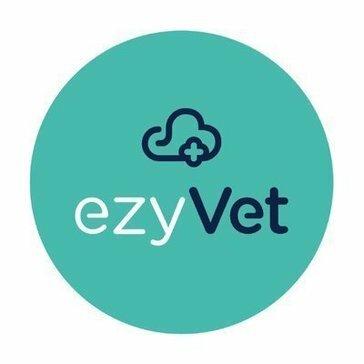 Boasting two-way integration with both XERO (cloud-based accounting) and Smart Flow (hospital regimes and electronic treatment whiteboard), ezyVet offers a truly connected solution. Perfectly tailored to suit small animal, referral, emergency & specialist, mixed animal and equine veterinary practices. eVetPractice.com is a cloud-based practice management system designed to revolutionize how you handle your business. Our product will help bring you to the next level of client communication and management. Our goal is to help you become more efficient, allowing you to focus more time and energy toward what you do, providing the best in Veterinary medicine. Please accept our offer for a free 30-day trial. When it comes to choosing a practice management system you can be sure that RxWorks is the right solution for your business. Our solutions are designed to help you to achieve your goals and ensure your practice continues to grow. RxWorks has everything you would expect in a practice management system and much more. It has been designed specifically to add real value to the way veterinary practices operate on a day to day basis. We have built RxWorks with real veterinarians in mind. Progressive practices expect their software to assist in all activities that impact their success. We are aware that success means different things to different people in your practice. RxWorks brings processes and tools that address all of those diverse needs. Hippo Manager Software, Inc. is cloud-based veterinary practice management software. This robust software improves veterinary practices and operations by improving all aspects of a practice: financial management (point of sale and invoicing), medical records, DICOM viewer (X-rays, sonograms, MRIs, etc. ), inventory management, appointment scheduler, patient reminders, analytics and more. We drive customer’s practice profitability by: •	reducing the practice’s administrative overhead (licensing, maintenance, capital costs, training, etc. ), •	increasing reporting capabilities, •	improving task management through directly integrated business logic, which also reduces missed charges by approximately an estimated 15 percent. Veterinary work is not done behind a desk in an office, but instead takes place in fields, barns, shows, operating rooms and exam areas. We offer unparalleled simplicity because our software is cloud based, which makes it available from anywhere with internet accessibility and from any device with a Google Chrome browsers, including laptops, desktops, iPads and other tablets. The modern design is more intuitive and it is dramatically less expensive for customers than all other competitors. Hippo Manager is offered at 60 percent below the cost of comparable local-server based competitors. We are the only product on the market specifically optimized for use on a tablet or iPad. Other available cloud products skew at a higher price point and do not offer the same full functionality or usability. Hippo Manager specifically targets small to medium sized practices (ranging from one to five providers) in the United States, Canada, Australia, New Zealand and the United Kingdom. Our product flexibility makes us ideal for the needs of specialists practices too. IntraVet is a veterinary practice management solution that provides the ability to go paperless, manage and integrate appointments, estimates, invoicing, patient records and imaging, and more. AlisVet is a veterinary practice management software that provides a paperless office solution with features for appointment scheduling, images and documents, boarding functions, archiving and purging, and more, to help you manage your practice. Smart Flow is a veterinary software module changing the way veterinarians care about their in-hospital patients. Whiteboards, reminders, anesthetic sheets, integration with hardware vitals monitors and other features will make you a vet superhero! Vetsource provides Home Delivery pharmacy services to over 8,000 veterinary practices across the country. As the only industry-endorsed Home Delivery pharmacy provider, we source quality medications and nutrition products directly from the manufacturer and ship them right to pet owners front doors. PetDesk improves the quality of life for pets by using technology to connect pet parents and pet care providers, such as veterinary clinics and groomers. Pet care businesses rely on our software to manage their online and offline activities, increase client engagement, and access actionable data to improve their bottom line. Pet parents download our free app to enjoy 24/7 access to their pet care providers, records and reminders in just one place. VetBilling is designed to provide affordable veterinary payment plans and financing to pet owners. VetFM is a practice management solution that encompasses features and technologies to help you manage your practice. VetIT is a veterinary practice management system that provides system-wide features, client functions, appointment management, medical records, and more to help you manage your practice. VETport is the pioneer in the cloud-based practice management software for veterinary clinics. Currently, VETport is being used by over 12,500 Veterinarians across 20+ Countries to serve over 16+ million pets. Our award-winning SOAP format e-medical record has been used to create 50+ million patient health records till date. 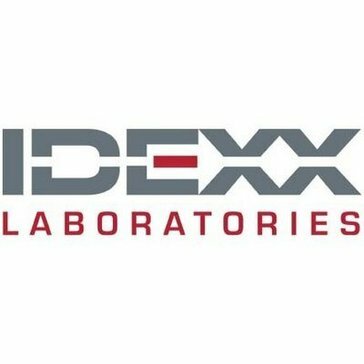 Our platform has been designed to meet the demands of Universities, Large Veterinary Hospitals, Group of Veterinary Clinics, Specialty-Referral Clinics and Equine Practices. Animana is a web-based practice management software solution that provides an all-in-one solution for any mixture of animal species and practice sizes that helps you manage your revenue with built in marketing tools, and more. VetPrescriber is a prescription portal designed specifically with the veterinarian in mind. Our web-based and mobile-friendly platform allows you to prescribe on the go, or manage all of your prescribers with one account. From patient admissions to invoicing easyVET is a practice management solution that helps you manage your day-to-day tasks of your practice or clinic. Ezvetpro is a cloud-based comprehensive veterinary practice management software that supports marketing, analysis and accounting functions and helps veterinarians improve practice revenues. HVMS is a veterinary practice management software that is designed to be configurable to the aspects of your veterinary practice providing an integrated platform to include invoicing, accounting, scheduling, inventory, and more. Full featured veterinary practice management system that is developed in Australia. Open Source and feature rich. Provet Cloud is easy to use veterinary practice management solution for clinics & hospitals. Try it out now for free! SpecVet is a powerful ER and Specialty Veterinary Practice software provides a reliable way for your entire staff to have access to the information they need to serve clients and patients while helping you run your business. With over 25 years of expertise and the incorporation of input from more than 30 doctors and administrators, SpecVet focuses exclusively on the end user experience, primarily the clinical staff and hospital administration. SpecVet is an All-in-One software that mirrors the clinical and administrative workflows of your practice. StringSoft Veterinary Management Solutions offers Premise and Cloud based Management Solutions. Runs on any platform. Complete Financial and EMR, Dicom, HL7, Lab Interface,RIS, including Modality Worklist, Ordering System, Reporting and Radiology Viewers, Wellness plans, Automated payment plans, Loyalty programs, Referring and Client Portals, Bi-directional communications. Cloud-based practice management for veterinarians. Simple practice management for small and freelance. Search Results VetPrep is a study resource with numerous features not available elsewhere to assist you in passing the NAVLE®. With its interactive, on-line format, VetPrep customizes your study sessions by creating detailed reports on your progress in all subject areas. Hi there! Can I help you find the best Veterinary solutions?